Tuscarora Lodge and Outfitters News: If April showers bring May flowers what do Mayflowers bring? If April showers bring May flowers what do Mayflowers bring? It's finally raining. And with that...comes a big heavy sigh of relief. One day this week, Shelby and I went for a walk, and she looked down at the cracks in the sandy soil near the Cross Bay Landing and she said "Oh my gosh, Mom, it isn't supposed to look like this. What is going on?" The Cross River is really low--even by summer standards. What's going on is that we've had no rain. . No floods. No gentle rains. Not even like the Bambi song... drip drip drip little April showers. Not until today. The days have actually been gorgeous. Perfect for raking and getting the docks in, for spring projects like washing the windows. But when the woods are this dry, I even get thirsty being outside. We enjoy the sun, but we scan the horizon often. At the gas station, at the grocery store, people wonder how dry it is, and when it's supposed to rain. 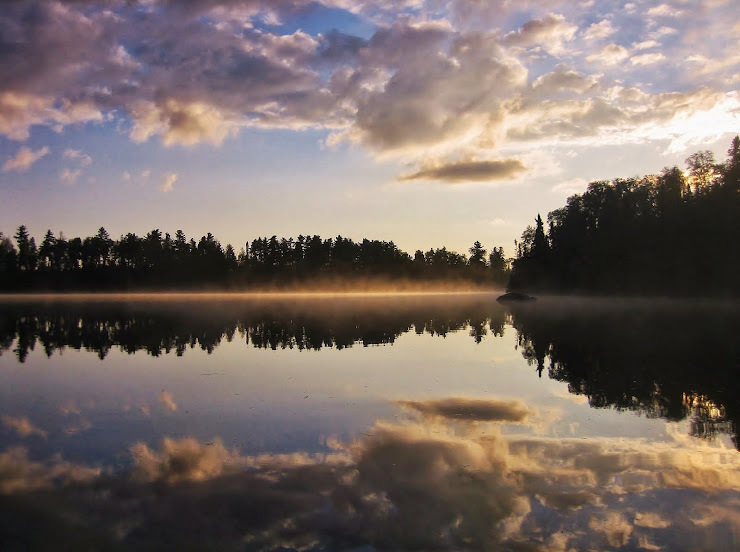 This morning, as when I drove up the Gunflint Trail, my shoulders relaxed. Whew! Smokey was still saying EXTREME, but he was a little wet. And--it's still raining now. Maybe not enough to raise the lake levels yet, but enough to keep the red flags down, even if only for today. I'm not thirsty anymore either. Gunflint Green Up is Coming!